Easter is a time of family gatherings, feasts, and fun. However, planning that fun can lead to a time of stress and worry. That’s where we come in. 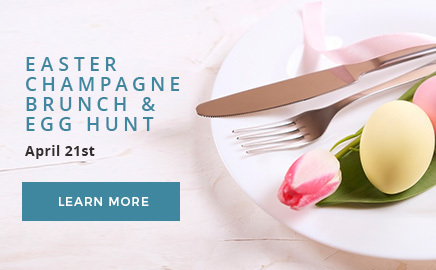 This Easter, April 21, Illinois Beach Hotel invites you and your family to join us for our Easter Champagne Brunch and Egg Hunts. The champagne starts flowing at 9:00 am and will be going strong until 3:00 pm. 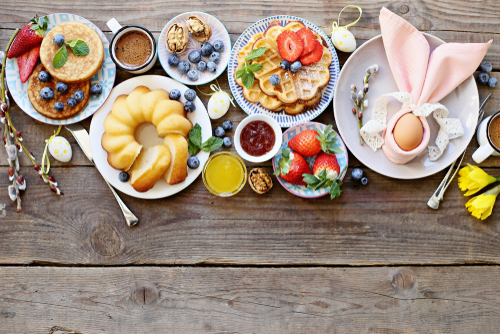 Enjoy a scenic view of Lake Michigan as you devour gourmet brunch classics and celebrate the spirit of Easter. We’ll make sure you’re more stuffed than an Easter basket. This special brunch includes extra fun for the children of the family. Make sure to have the kids put on their scavenger hats as your brunch ticket includes access to one of three egg hunts: 10:00 am, 12:00 pm, and 2:00 pm. We will even have a petting zoo so you can rest assured that younger family will be entertained and excited!